The concept is pretty simple. Just like MapQuest, Google, Microsoft, and other mapping programs, Ride the City finds the shortest distance between two points. But there are two major differences. First, RTC excludes roads that aren’t meant for biking, like the BQE and the Queens Midtown tunnel. 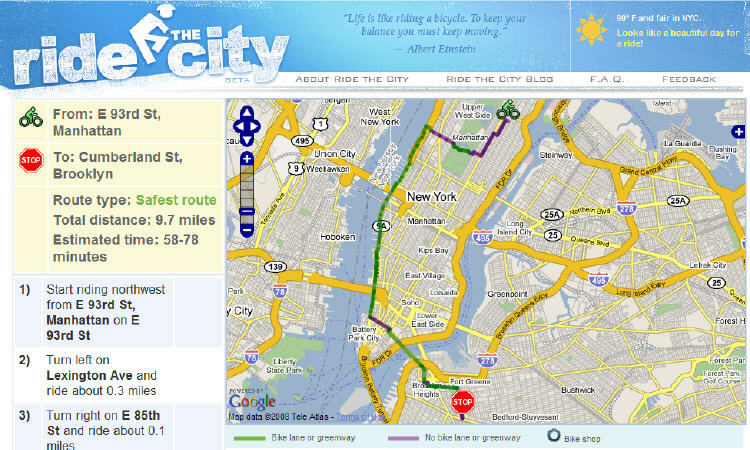 Second, RTC tries to locate routes that maximize the use of bike lanes and greenways.